IRISH SPORT HORSE BROODMARES AT ARDNEHUE HOUSE. Breeding Irish Sport Horses for the future! 2003 Bay mare 166cm ( 50% TB ). Dam-sire :DIAMOND LAD X ARCTIC QUE. Premier Broodmare Select 5 star status. See 'Video' for performance action. 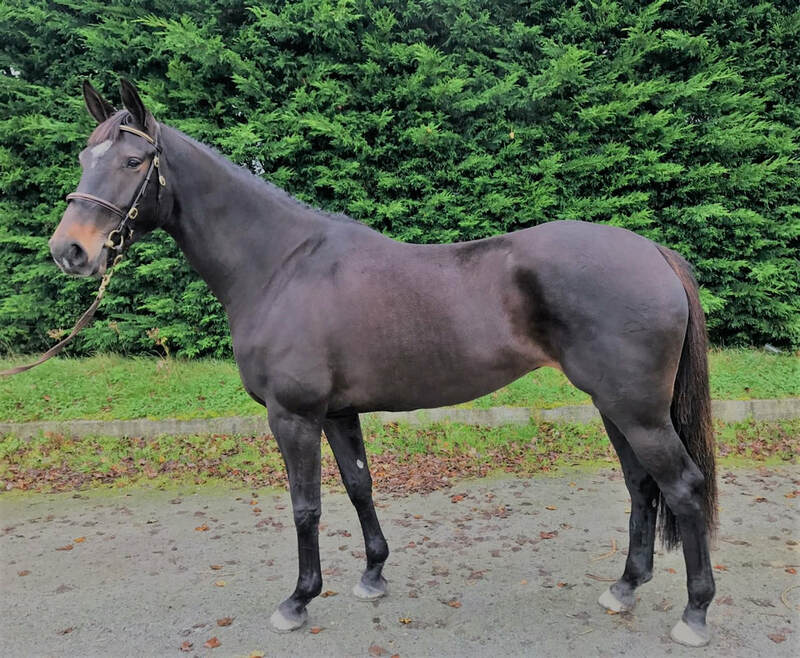 The Horse Sport Ireland 2015 Genetic Evaluation Report records this mare to have a Breeding Value which puts her in the top 5% of Irish Sport Horse mares. ​Cavan Classic 5yo Champion 2008. One of the most prestigious 5yo competitions in Ireland. (see 'Success'). Numerous other wins and placings. Showing great spirit and a will to win, she was one of the top horses of her generation. Jumped successfully up to 1.30m level before retiring (sound) for breeding as a 6yo. Consistently breeding sales toppers. Reserve Champion in the RDS 3yo Loose Performance Class 2012. Winner of Scope Festival 6yo Supreme Championship 2015. Placed third in the 1.35m Senior Newcomers Championship and fourth in the 1.40m Grade 'C' Championship at HOYS 2015. 2012 Colt by Je t'Aime Flamenco. (ABC Private Jet). Click here for video Joint sale topping 3yo at Goresbridge Supreme Sale of Showjumpers. Currently competing at CSI 1.30m (6yo). Winner of the HSI 5yo Studbook Series classes at The Meadows, Cavan EC, Mullingar International and Coilog EC and was runner-up in the League. 28/06/18 Placed 3rd in the RDS Dublin Horse Show 5yo qualifier at Galway E.C. 2018 OBOS Quality 004 filly and colt by Je T'Aime Flamenco. Click here to see FACEBOOK page for videos. Dam is a Grade A showjumper, Cavan Classic 5yo Champion and was 4th in the 6yo RDS Championship at Dublin Horse Show. Numerous other wins and placings. She was one of the top horses of her generation. Jumped successfully up to 1.30m level before retiring (sound) for breeding as a 6yo. This mare is a half sister to ABC Quantum Cruise, winner and many placings at International Grand Prix up to CSI 5* 1.60m level. Reserve Champion of the RDS 3YO Loose Performance class 2012. Winner of Scope Festival 6yo Supreme Championship 2015. Placed third in the 1.35m Senior Newcomers Championship and fourth in the 1.40m Grade 'C' Championship at HOYS 2015. ​She is also half sister to ABC Private Jet who was joint sale topping 3yo at the 2015 Goresbridge Supreme Sale of Showjumpers and is now competing at 1.30m (6yo) under FEI Rules. Sire was awarded 'Keur' status by the KWPN in 2011 and is 5* rated for showjumping progeny with HSI. Progeny : 2016 Colt by Emperor Augustus (TB). 2018 Colt by Je T'Aime Flamenco. Click here for details and video of Mermus R.
Sire : CRUISING (Seacrest X Nordlys). Plus numerous other wins and placings. She was one of the top horses of her generation. Jumped successfully up to 1.30m level before retiring (sound) for breeding as a 6yo. Her first foal was Reserve Champion in the RDS 3yo Loose Performance Class 2012. Winner of Scope Festival 6yo Supreme Championship 2015. Placed third in the 1.35m Senior Newcomers Championship at HOYS 2015. Currently competing with international rider, Peter Charles. Placed 3rd CSI2* 1.40m Grand Prix at Chepstow 2016. Placed second at Mijas CSI3* 1.45m, Feb 2017. 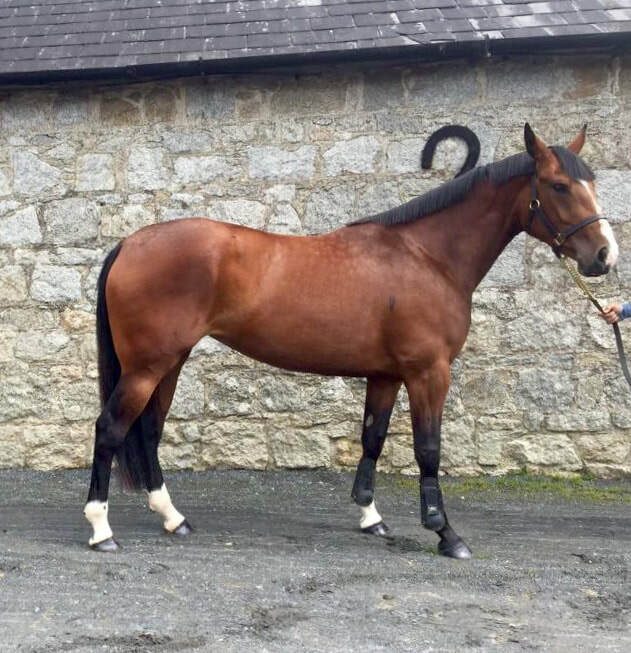 The Horse Sport Ireland 2015 Genetic Evaluation Report records this filly to have a Breeding Value which puts her in the top 25% of Irish Sport Horse mares. In foal to HHS Cornet for 2019 (Cornet Obolensky x OBOS Quality 004). 2000 Grey mare 163cm ( 50% TB ). 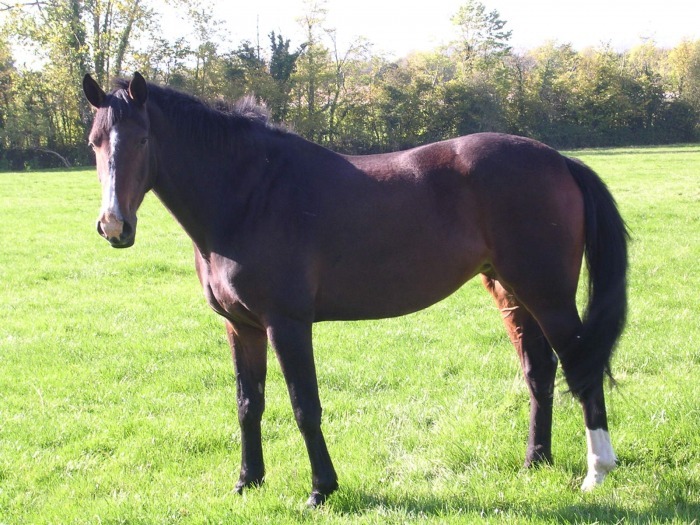 The Horse Sport Ireland 2015 Genetic Evaluation Report records this mare to have a Breeding Value which puts her in the top 25% of Irish Sport Horse mares. ​Progeny : 2005 filly by FURISTO'S TRUMP (called Coolgrange Cruising, currently competing at 1.50m and was 2nd in an International 1.45m class at Millstreet 2015. Also placed 6th in National Grand Prix at Cork 2015. Placed 2nd in 6/7 yo class at National Balmoral 2012, placed fifth in 1.30m final at Cavan Indoor Championships 2012 and third in 1.30 final at Cavan International 2012. Third in Cavan 1.35m Grand Prix, June 2013. Placed second at CSI 3* 1.45m level at Millstreet 2015. Paced 4th 1.40M Grand Prix at Cavan EC 2016. ​Placed 3rd 1.40m National Grand Prix at Ballinasloe 2016. Placed 4th National Grand Prix at County Clare Show 2016. Currently is Grade A with 201 SJI points.. See 'Photo' for action pictures). 2010 Filly by MERMUS R.
2012 Colt by Heritage Fortunus. 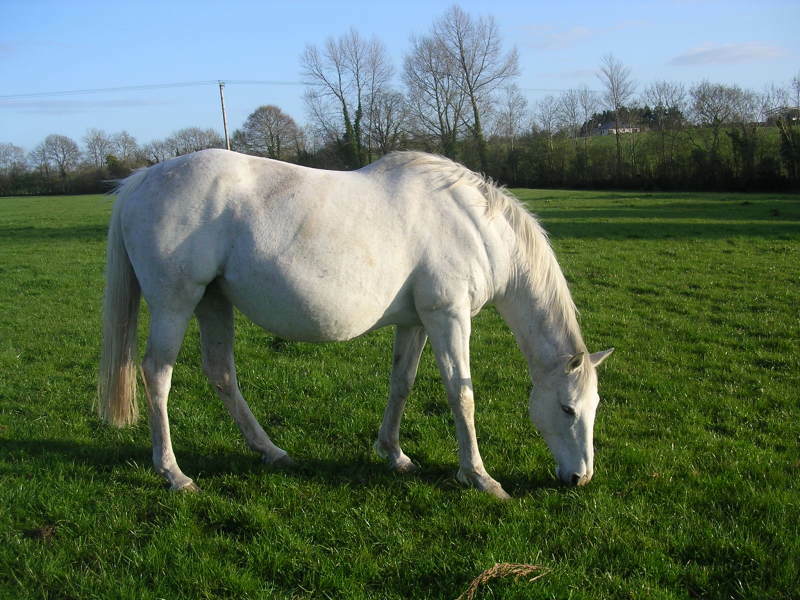 Update 21/04/2011 : Awarded 1* status in the new 'SELECT' broodmare class in the Irish Sport Horse Studbook. 2015 Colt by Harlequin Du Carel. ABC Harley Carel. Won his qualifier for Dublin Horse Show 2018. Finished fourth in the Final. 'Click' here to view video of mare in action. 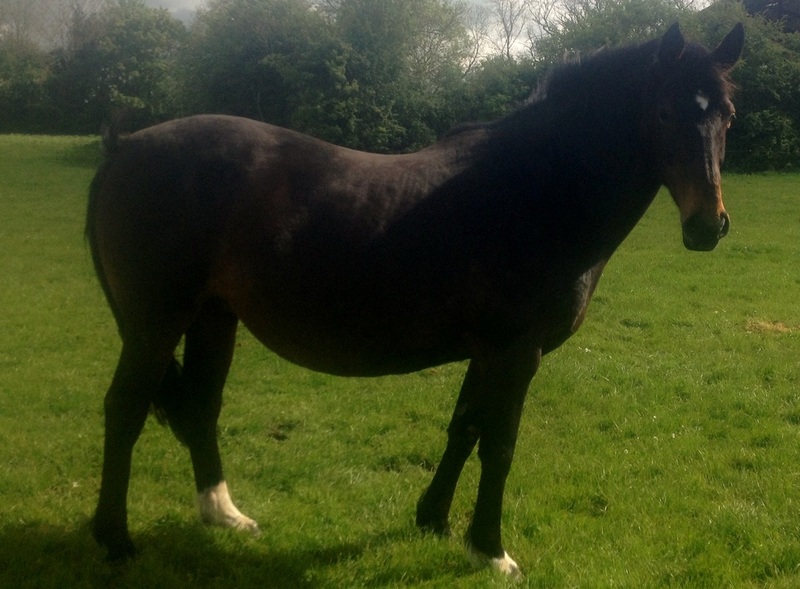 1995 Bay mare 166cm ( 50% TB ). Sire : DIAMOND LAD (King of Diamonds). Progeny :2000 filly by CRUISING (Cloneen Diamond). 2003 filly by CRUISING (Ardnehue Diamond Cruiser). 2008 filly by DESERT KNIGHT (TB). 2009 filly by CRUISING'S MICKEY FINN. 2010 filly by NUMERO UNO (Pref). 2011 colt by Mermus R.
2013 colt by CRUISING. ABC Ballycruise qualified for 5yo at Dublin Horse Show 2018. 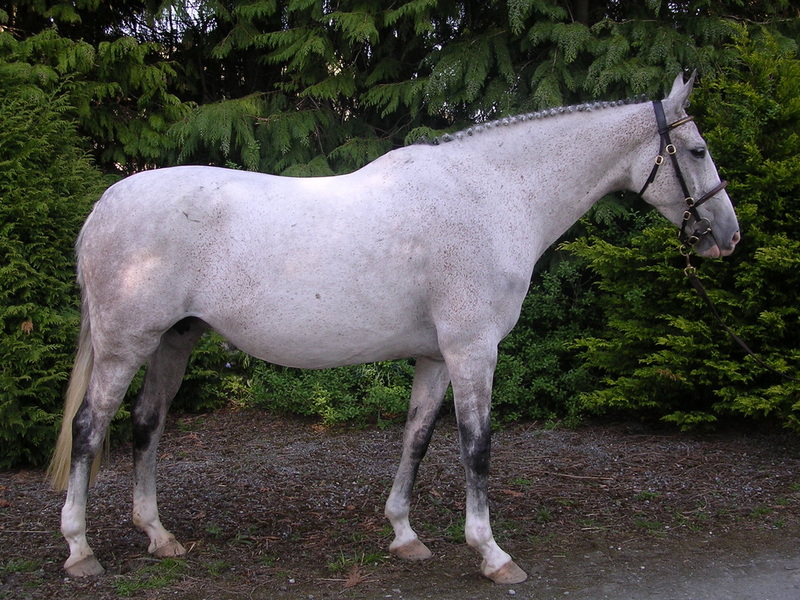 1994 Grey mare 168cm ( 72% TB ). Dam-sire : KILTEALY BOY X VIVI TARQUIN (TB). Next dam by BATTLEBURN, sire of the great Boomerang (Eddie Macken). Awarded 5* status for showjumping progeny in the new 'SELECT' broodmare class in the Irish Sport Horse Studbook. 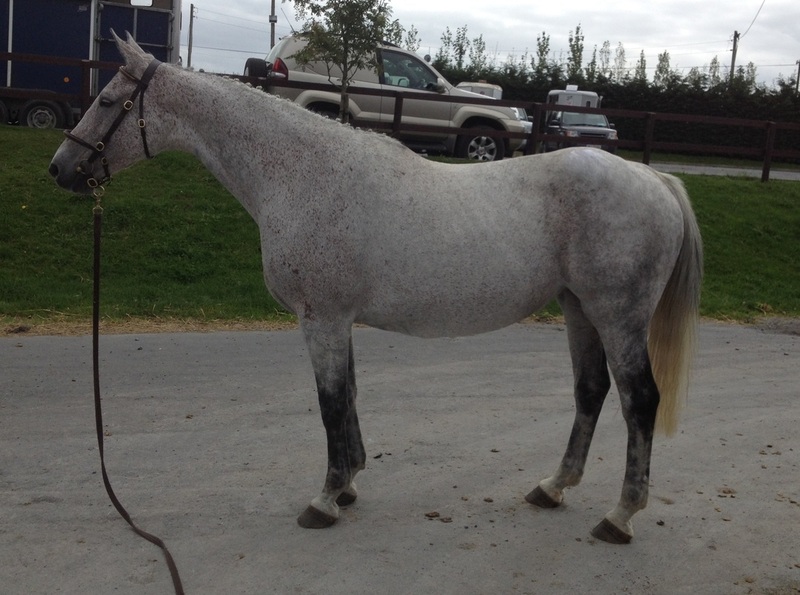 Dam is a half sister to 1.40m showjumper Baile An Aitin. Dam of Ardnehue Flight, winner of National Grand Prix and placed at International level. Update : Fourth place finish CSN 2* Grand Prix in Valencia, Spain 6/02/2011. Winner CSN Grand Prix Seqovia, Spain 10/07/2011. Second 1.50m CSN 5* National Grand Prix, Madrid 08/09/13. Winner 1.40m CSN 4* Salamanca, Spain 13/09/13. Second Grand Prix, CSN 3* Winter Tour, Murcia, Spain 19/01/14. Placed in three International CSI *** speed classes at European Championships, Madrid 2011. From the direct family of Twinkle Bee, CCI**** event horse, Cooley SRS CCI*** winner, Analley Courage 1.50m international showjumper and1.40m showjumpers Ducati and Baile An Aiteann. Dam-sire : Duca Di Busted (TB) x Legaun Prince (RID) x Sky Boy (TB). Awarded Select One Star status by Horse Sport Ireland at their broodmare inspection 2014. 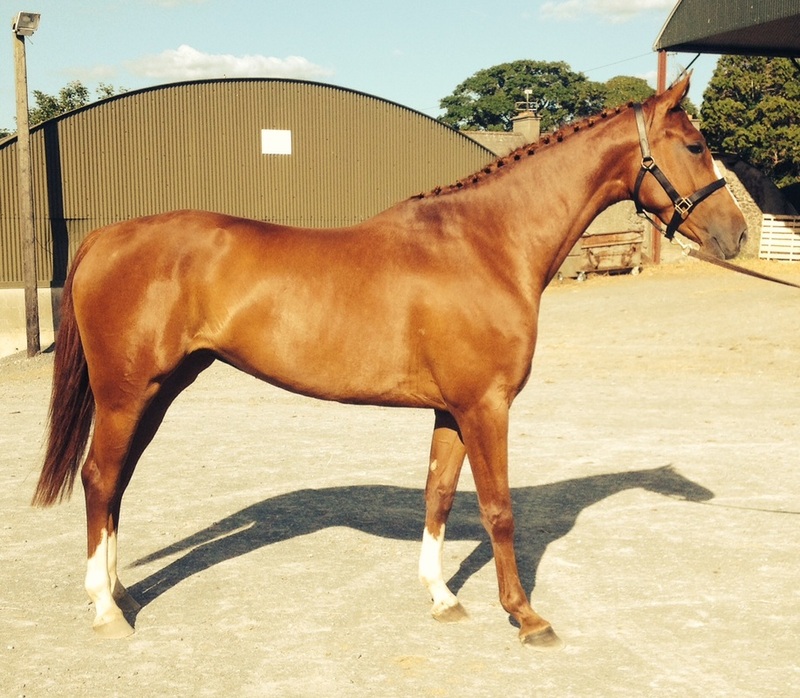 This mare is from the same family as 2015 Dublin Horse Show International Puissance winner Seapatrick Cruise Cavalier and international showjumper, Riverbird. Sire's dam is a full sister to the great Cavalier Royale.